Des Moines University is currently seeking applicants for the Assistant Provost for Educational Innovation and Enhancement. 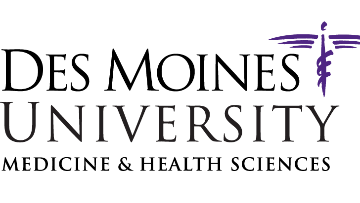 Utilizing the guiding philosophy of “One University,” this position will provide strategic leadership in educational innovation and enhancement, and will oversee the cluster of educational support units, to include Library, Simulation Center, Center for Educational Enhancement, and Continued Medical Education. It is expected that the position will bring about exciting, cutting edge educational innovation initiatives and programs, and will support academic enhancement for faculty and students. Providing services for all participants in the academic enterprise – students, faculty and staff – this position will lead boldly into the future of health sciences education, assessing the viability of programs and educational initiatives, and ensuring academic support services are available and efficient. This position will develop and implement programs enhancing teaching and learning, educational research, instructional design, course delivery and assess the utility of innovative educational tools and technology. This position will promote a culture of educational innovation, enhancement and assessment to provide competitive advantage to the institution and its programs. Founded in 1898 in Iowa’s capital city, Des Moines University is a postgraduate medical university comprised of three colleges – College of Osteopathic Medicine, College of Podiatric Medicine and Surgery and College of Health Sciences – that offer eight graduate degree programs. Des Moines University combines the top advantages in medical education available today: an expert faculty, a rigorous and relevant curriculum, state-of-the-art facilities, a dynamic and diverse research environment, and a supportive, inclusive community of students and faculty active in learning and service. By consistently producing outstanding graduates who excel in their careers, DMU maintains one of the strongest reputations in the sphere of American medical education. Earned Terminal Degree (e.g., PhD, EdD, DO, MD, DPT, etc.) from a regionally and/or professionally accredited institution; Doctoral degrees in Education, Assessment or the Health Sciences preferred. A Terminal Degree in the disciplines taught within DMU preferred. Three years of full-time experience in academic leadership at the department, college or university level. Experience at the university level preferred. Documented experience with faculty development and student educational support. Documented experience with educational research (e.g., educational research publications and/or presentations). Documented experience with teaching and/or curriculum/course development at the graduate level or in a health professions program. Evidence of progressively responsible academic leadership experience highly desired. Passion for a high standard in academic excellence highly desired. For complete job description, benefit summary, or to apply visit www.dmu.edu/employment. Please submit curriculum vitae, cover letter, statement of leadership philosophy and contact information for three professional references at time of online submission. Review of applications will begin immediately and continue until position is filled.